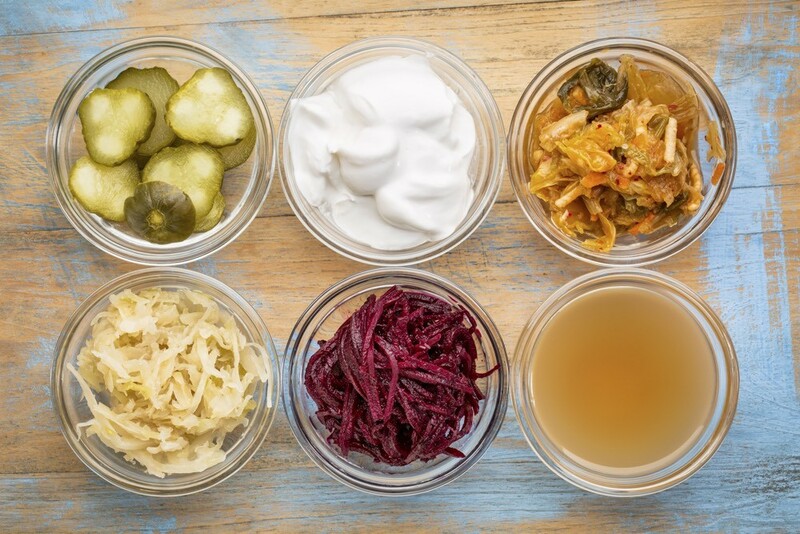 Probiotics are live bacteria and yeasts that help keep your digestive system healthy by boosting the number and variety of ‘good’ gut microbes and reducing the growth of harmful microbes. As mentioned in The Clever Guts Diet book, these are the ‘Old Friends’, the good bugs, often passed on from generation to generation. Prebiotics are a type of plant fibre which your body can’t absorb, but which encourages the growth of “good” bacteria in your gut. They act as food for probiotics. They feed the ‘Old Friends’. Prebiotics and Probiotics work together to help maintain a healthy digestive system. What foods are good sources of probiotics? One of the most popular sources of probiotics is live yogurt. Other good sources include kefir, sauerkraut, miso soup, fermented soft cheeses (like Gorgonzola), fermented vegetables and Kombucha. It is important that you check the label of these foods to make sure they contain live or ‘active’ cultures, as sometimes these are removed and killed off in the packaging process. We include recipes as to how to make ‘ferments’ at home. It is great to see so many people embracing the age old tradition of fermenting food – now sought after for both improved health and better taste. And it is generally good value too! Visit the forums and recipe section to join other ‘fermenters’ and swap recipes and tips. And good sources of prebiotics? 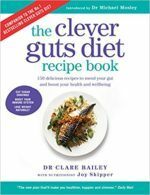 There is a long list of these in the book, many of which are incorporated in the Clever Gut recipes, such as inulin rich foods like onion, asparagus or Jerusalem artichoke and those containing resistant starch such as legumes, seeds or in cooled and then reheated rice, pasta or potato. Foods such as barley, oats and even seaweed are also good prebiotics.